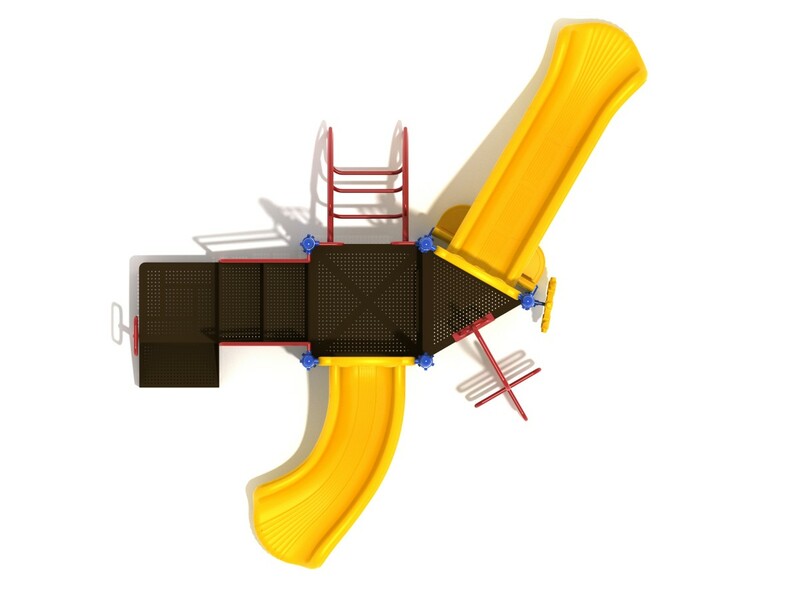 Finding the perfect playground structure can be difficult. With so many options, it can be confusing! The Ames play system is a simple option that still offers a lot of fun. Children can climb up by way of the vertical snake climber or the inverted arch climber. 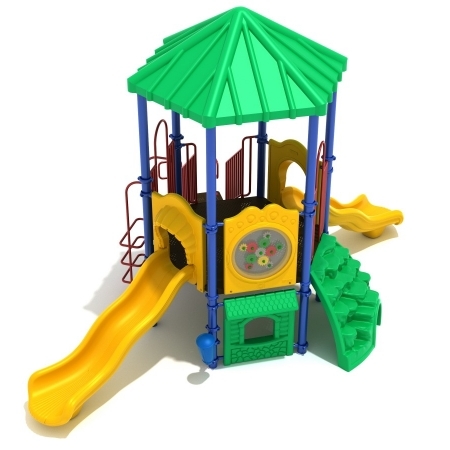 Finding the perfect playground structure can be difficult. With so many options, it can be confusing! The Ames play system is a simple option that still offers a lot of fun. 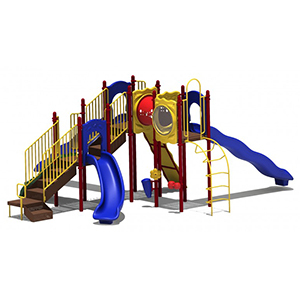 Children can climb up by way of the vertical snake climber or the inverted arch climber. An ADA transfer station is included with the steps, making the unit ADA compliant. A ship’s wheel is located on the ground level as well as a bench seat panel. 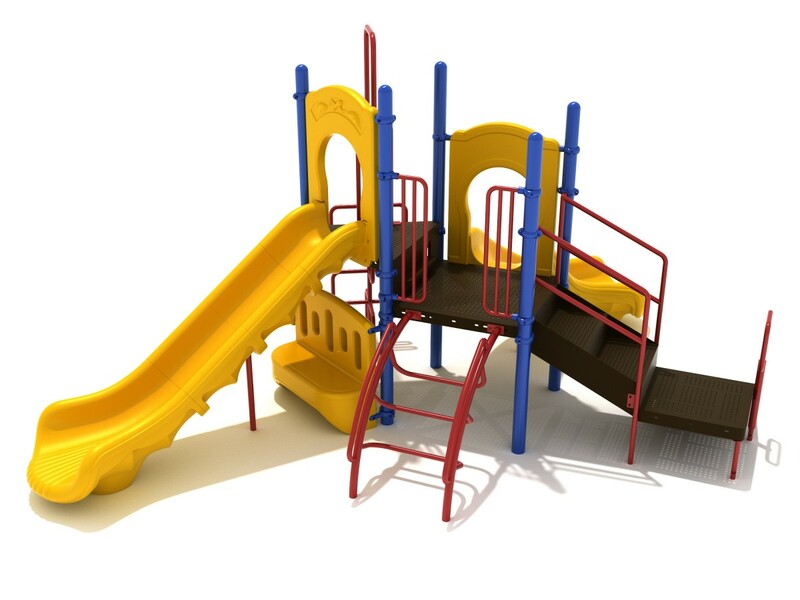 Perhaps the most exciting element in a play structure is the slides. 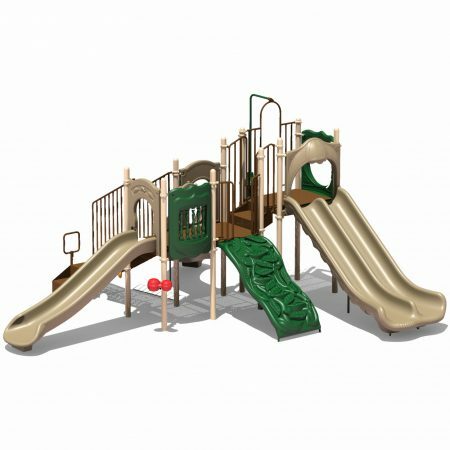 The Ames play system features a straight slide and a right turn slide that are sure to delight children. This unit is intended for children ages 2 to 12 years old. 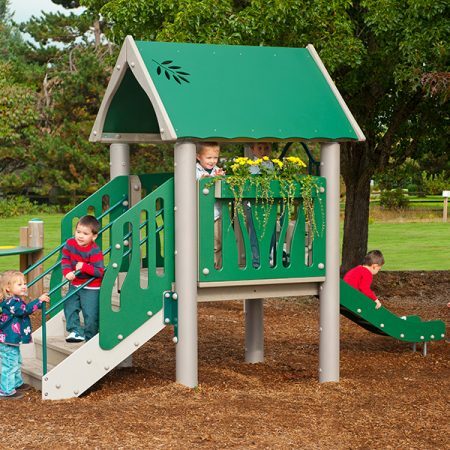 When choosing a play structure it is also important to look at safety surfacing. 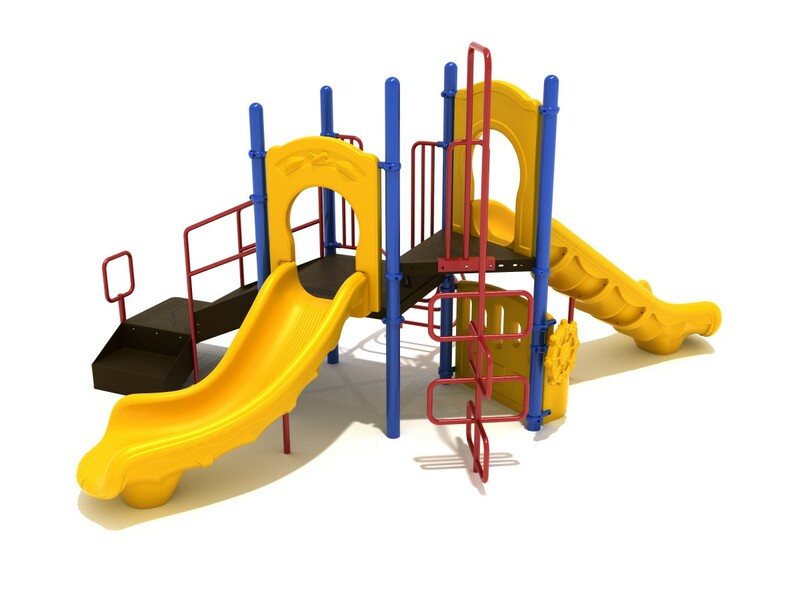 With poured rubber and loose-fill options available, you are sure to find the right fit for your playground. Safety surfacing is important as it helps to prevent injury.